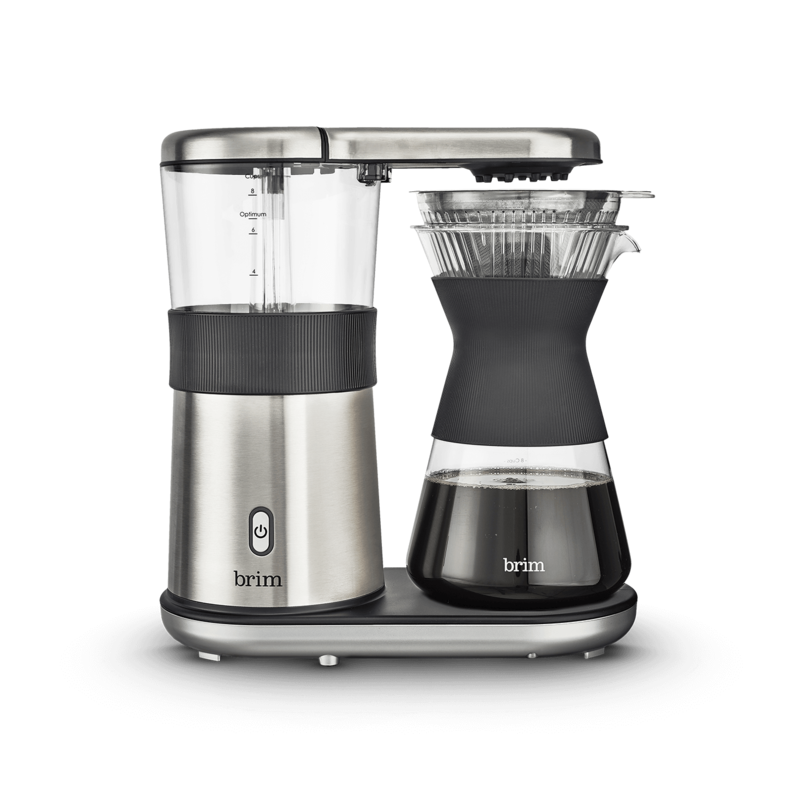 To stay true to the taste, we suggest using a single origin coffee beans that you grind. 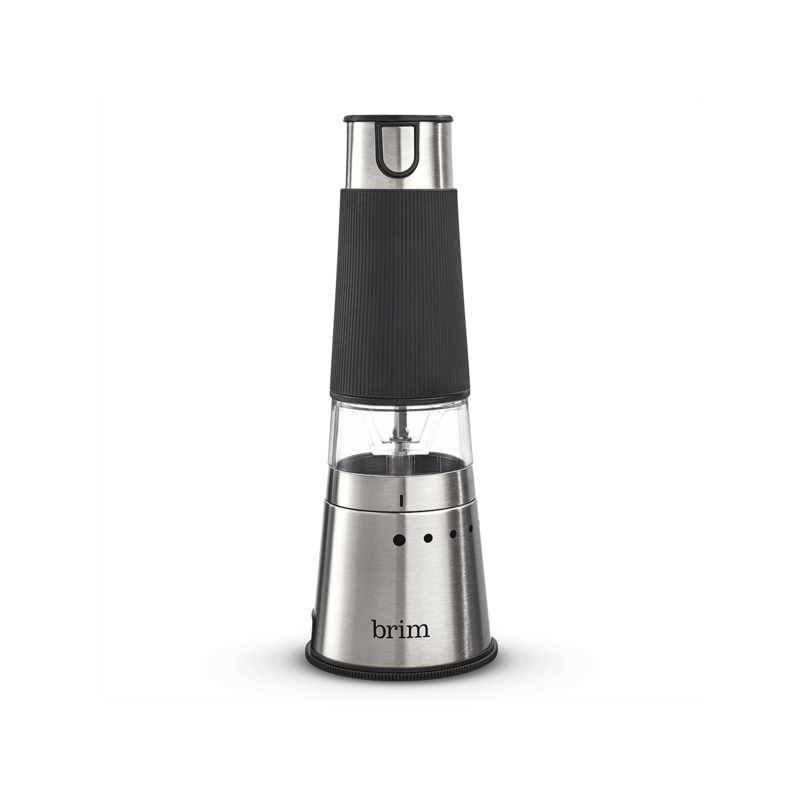 The Brim conical burr grinder is a great option. It has been tested and approved. 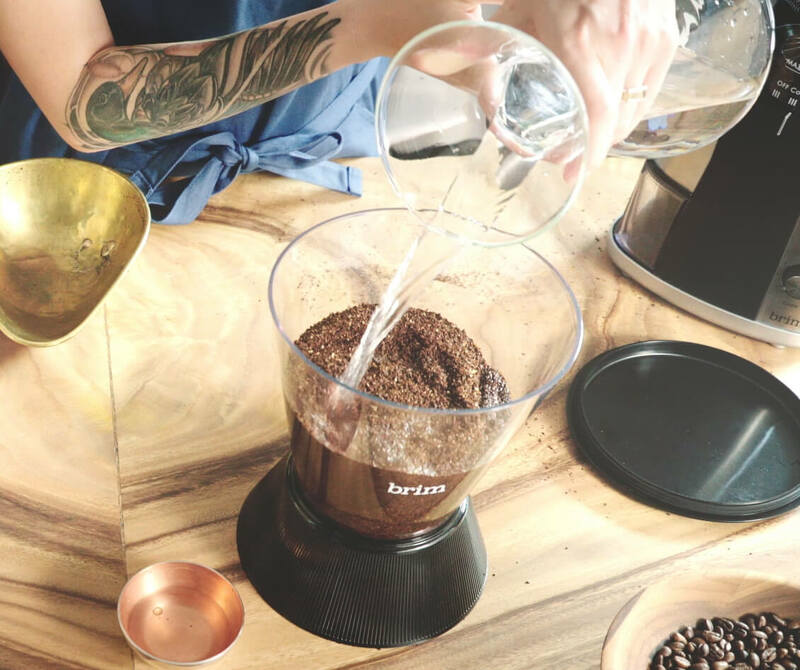 Add 12 ounces of coarsely ground coffee to the brewing container and then pour in one cup of water. Dip the filter into a cup filled with water. 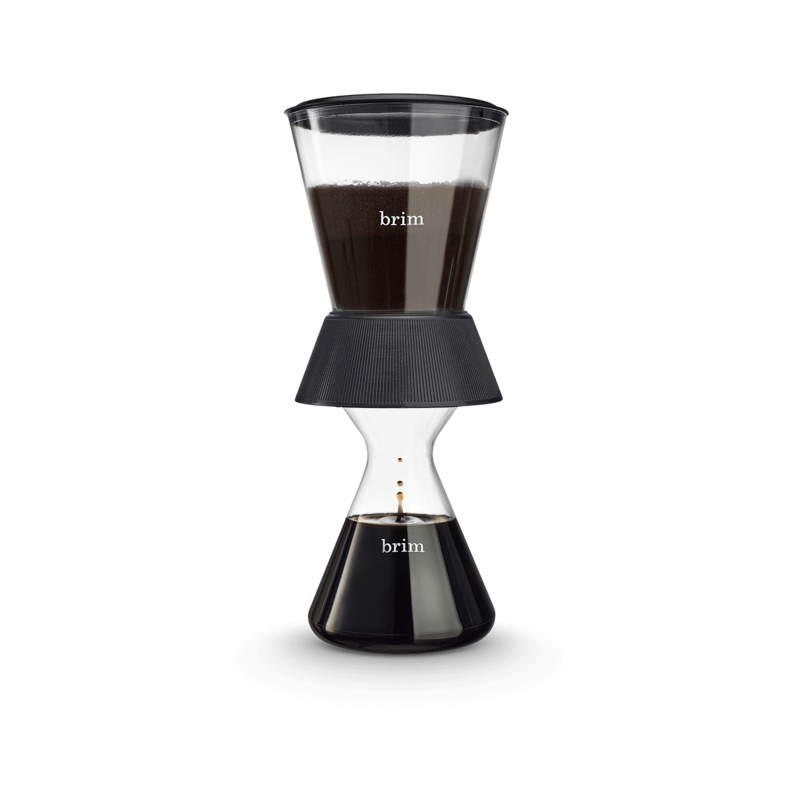 Once moistened place it at the bottom of the brewing decanter. 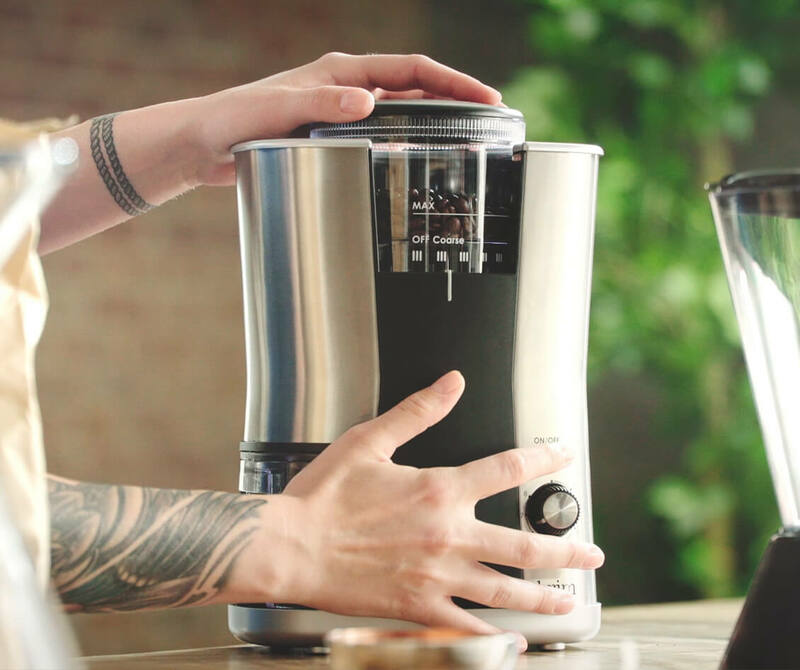 Pouring in a spiral motion, fill to the marked line the brewing container with room temperature water. Try to cover all the grinds with the water. 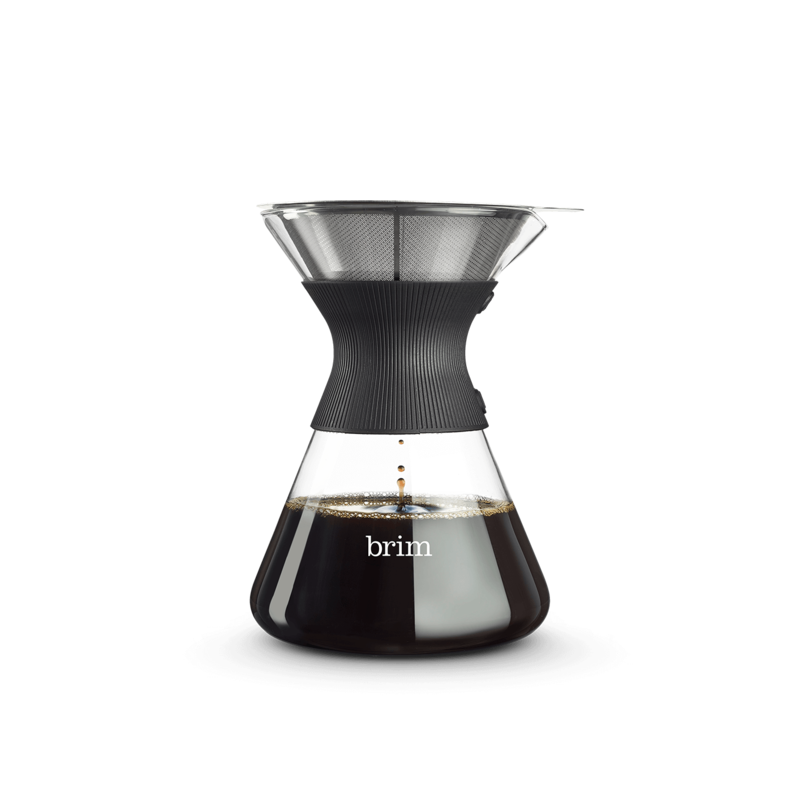 While the water is saturating the coffee grinds, refill the decanter for the second pour. Use a spoon to push down the grinds to make sure they are saturated with water. And you’re done! 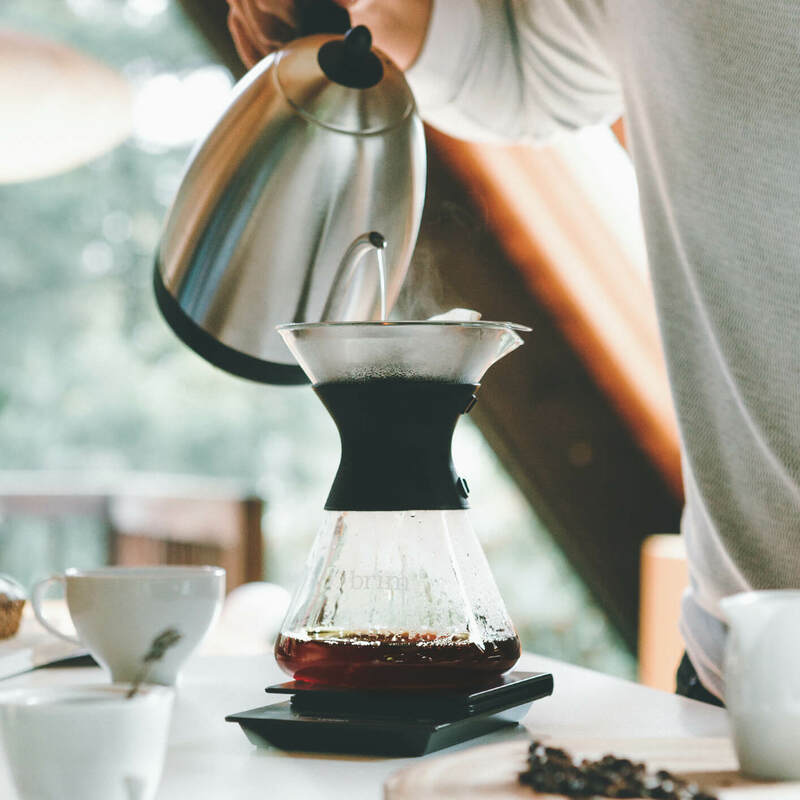 Now chill and let the coffee brewing begin. 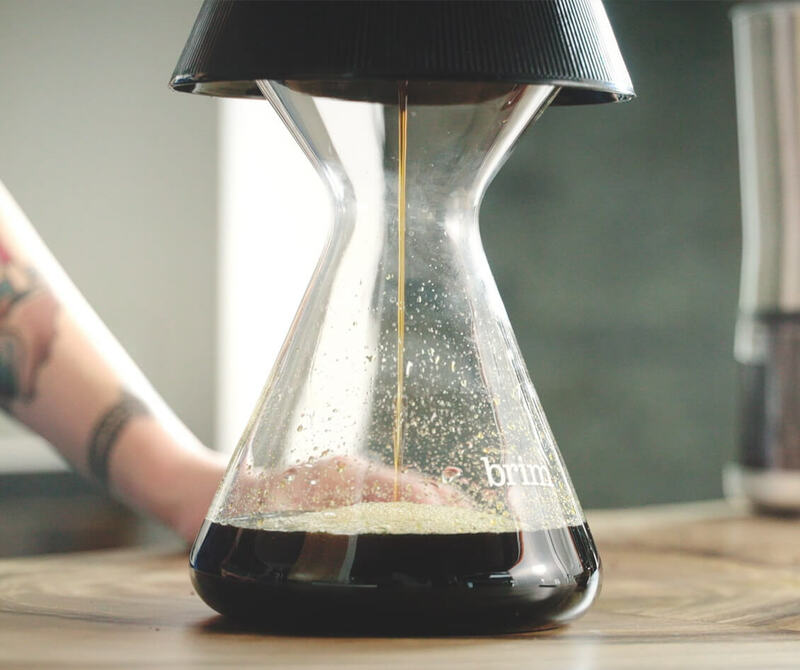 Let the coffee sit for 12 to 24 hours on your kitchen counter. Position the brewing container on top of the decanter. 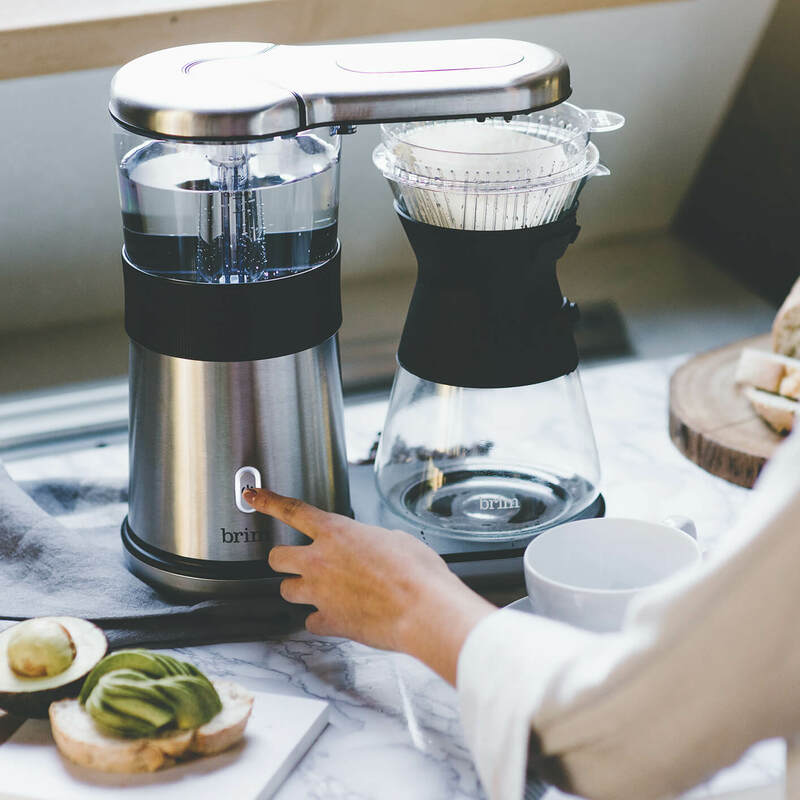 This will trigger the Smart Valve to release the coffee concentrate. The dripping process should take approximately 15 minutes. 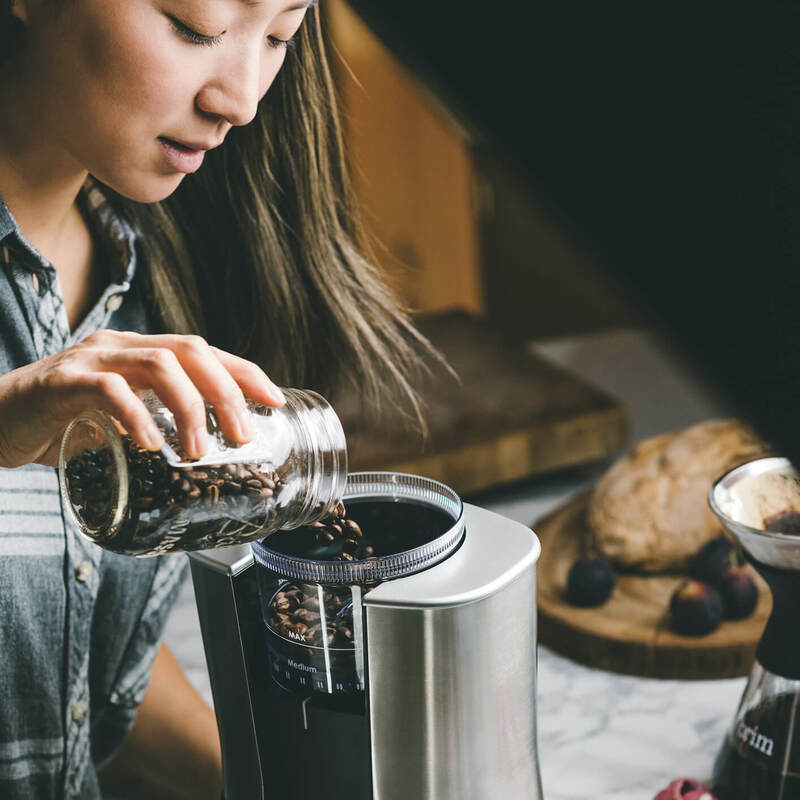 Once this is complete, remove the brewing container and use the lid that comes with your kit to cover the extract and seal in freshness. 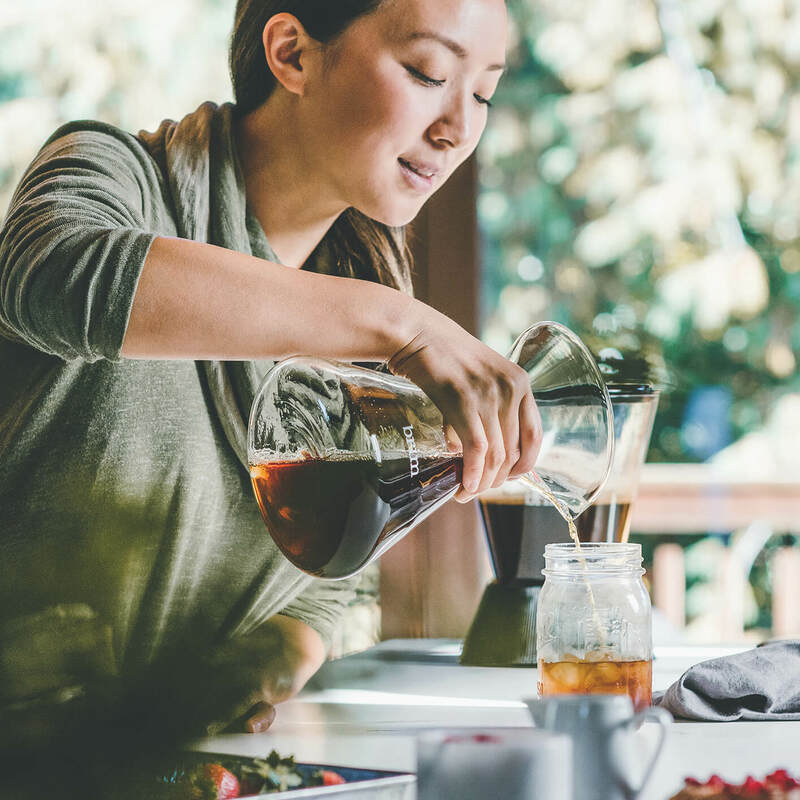 The cold brew will retain its full flavor and aroma for up to two weeks in the fridge. 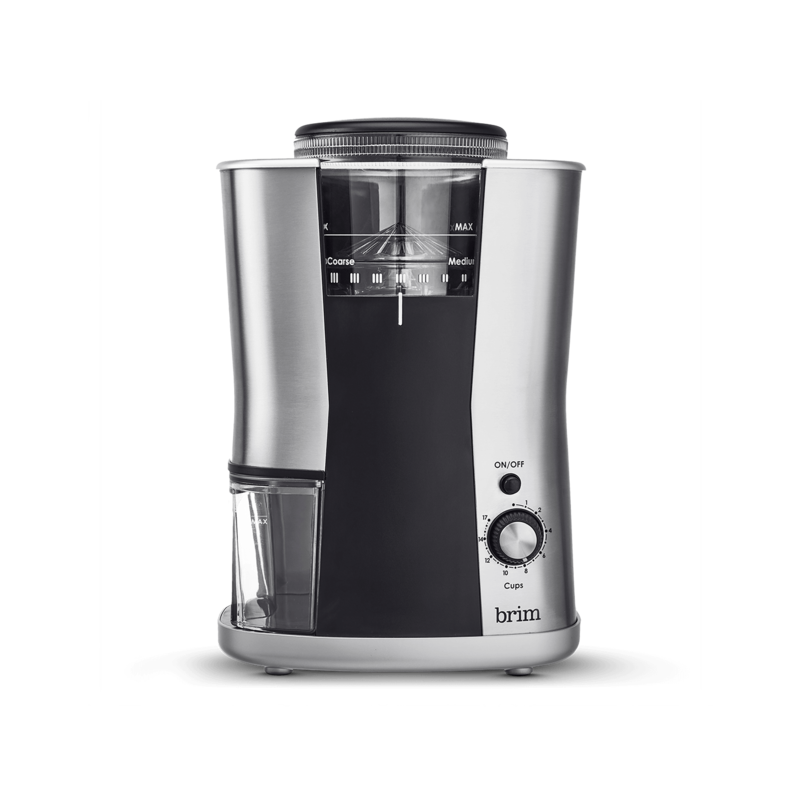 Will serve up to 32 servings hot or cold. 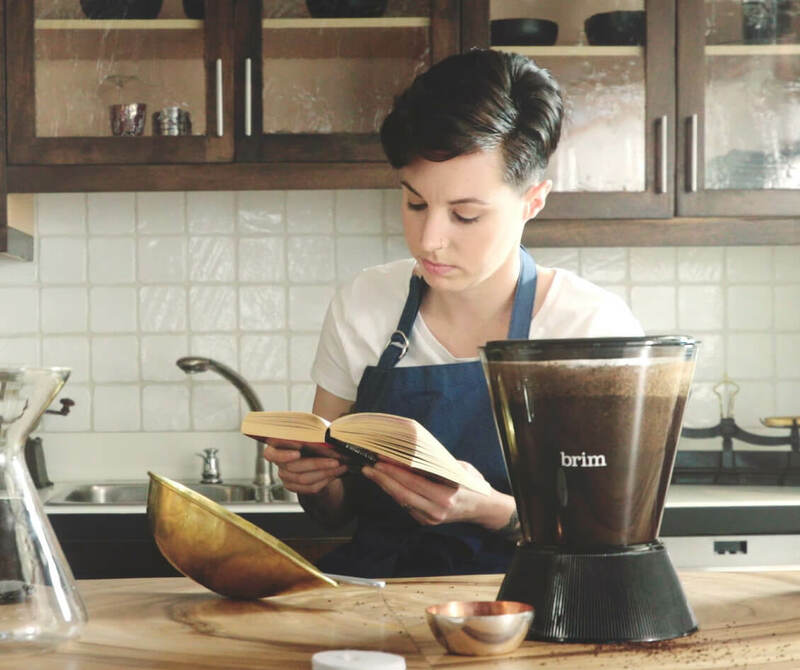 Mix 1 part of your cold brew concentrate with 3 parts of water or milk and ice if you like. 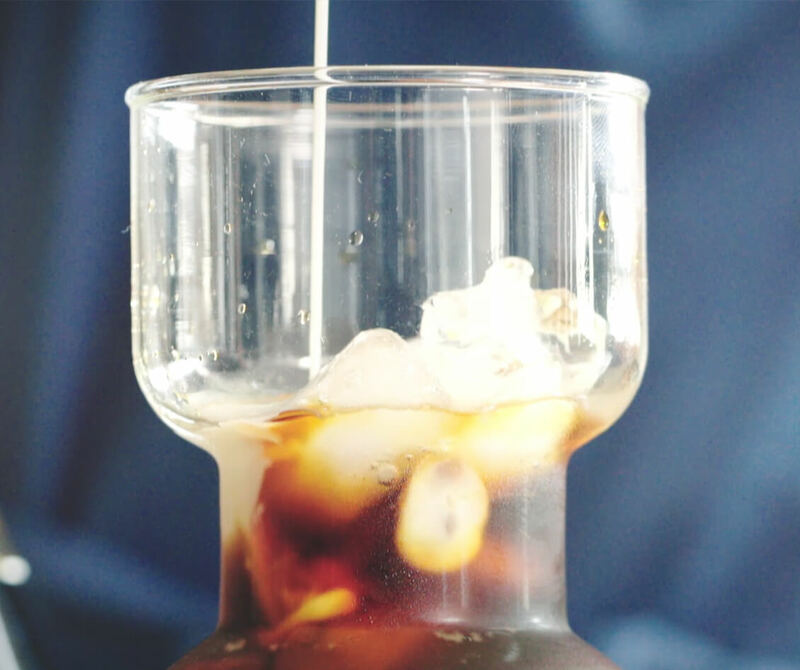 Almond milk accentuates the sweet and creamy taste of the cold brew concentrate. 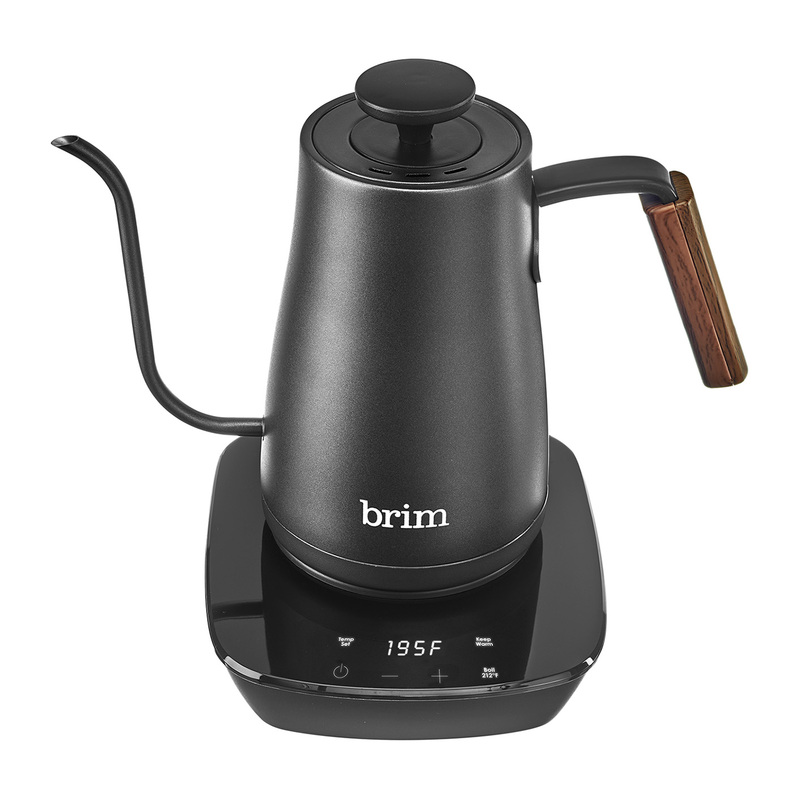 You can also use the concentrate to make any hot beverages simply add boiling hot water to your portion of concentrate for a delicious hot coffee.